Industrial internships are the centerpiece of the Centre for Aerial Robotics Research and Education (CARRE) training program. Internships provide our CARRE, NSERC CREATE-UAV sponsored graduate students, otherwise known as “Trainees”, exposure to the dynamic working environment of industry companies in aerial robotics. This experience will offer our trainees the insight into the rapid technical and business development of related industries, in addition to fostering networking connections with the possibility of leading to future job opportunities. In return, partnering industries benefit from this collaboration to have unique access to leading-edge research at CARRE and highly qualified CARRE graduate students! In the internship placement, our graduate student trainees are expected to work in roles that support their respective areas of research. Support the Certification Engineering Group in their efforts to both develop and implement new design features onto aircraft - Viking Air Ltd., Sidney, B.C. 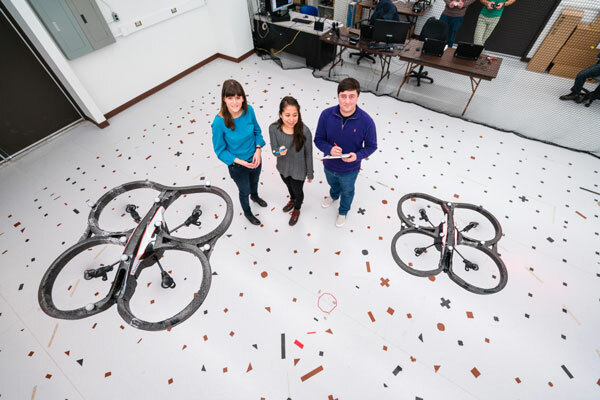 Eligible students are receiving CARRE sponsorships and are being financially funded, partially or fully, by the CARRE, NSERC CREATE UAV Project. Graduate students not receiving CARRE funding may participate in the Internship Program and should contact the CARRE Program Coordinator at coordinator@carre.utoronto.ca for more information. Leverage our highly qualified CARRE student trainees and their areas of research to kick-start your latest company project or support an ongoing project! In addition, you will form important early connections with our students whom offer a wide-range of highly sought-after disciplinary expertise. Click below to view a sampling of our student bios! Learn more about... our students!